Health think-tanks, the Nuffield Trust, the King’s Fund and the Health Foundation, have warned that social care is in a ‘critical state’. Lady Altmann, former pensions minister, says that Britain is in danger of sleepwalking into a social care crisis and care has been left to cash-strapped councils who keep cutting services. Care homes and community health services have an increasingly challenging role in society but this area of healthcare is underfunded and understaffed. Social care services run by councils are widely regarded as out-dated for an aging population that is living longer with multiple conditions and dementia. These pressures will impact on care quality. The winter will only bring with it further strain on care home and community services, with staff shortages due to sick leave and the Christmas holidays. Temporary or undertrained staff will be used to plug the gap, which is when errors, omissions and neglect can occur. The Serious Injury Helpline is making family members, friends, neighbours and carers aware of five conditions that are a sign that a vulnerable adult is not receiving the care that they deserve. Pressure sores develop where a patient’s skin is in contact with the bed or chair for extended periods of time. Regularly changing the body’s position is an effective way of preventing pressure ulcers, as well as eating healthily and checking the skin on a daily basis. These are basic care standards that should not be neglected. Elderly patients who are ill, immobile, diabetic and have poor skin condition are vulnerable to this serious condition, which can lead to infection and permanent pain. Elderly people will usually suffer from a number of different illnesses each requiring multiple prescriptions. This makes them vulnerable to medication errors and omissions. Lack of trained staff and dementia symptoms will compound the issue and old people will be more vulnerable to the effects of a wrong medication or dosage. Fractures from falls and handling errors within a care home environment are common. This is especially the case when staff are undertrained and without experienced supervision, and residents do not have the right mobility aids, such as a wheelchair. Elderly people are vulnerable to slips and trips, and not all injuries are cause by neglect, but some injuries can be avoided with good care. Delays in referrals to hospital and treatment can have serious consequences for vulnerable elderly residents. For temporary or untrained care home staff, it can be hard to recognise serious symptoms when a resident has many illnesses. Or, in some extreme cases a person’s concerns or protests about pain and discomfort are simply dismissed. In rare cases it can be wilful neglect but where a person is unable to communicate their needs – due to illness or dementia – and the care home is mismanaged and understaffed, a resident can go without something as basic as a glass of water. Symptoms of a lack of food and water include headaches, extreme tiredness, lack of concentration, dizziness, confusion, constipation, diarrhoea, strong smelling urine, and dry or sore mouth, tongue or gums. It is vital to seek expert legal advice to check an elderly person’s legal rights and whether they have been a victim of medical negligence. A successful claim for compensation, if the person has been injured, can be important to the future quality of their life. Settlements can help fund private medical treatment, speed up rehabilitation, pay for extra care, changes to the home and car, replace earnings of a family carer, and help with the practical everyday expenses that inevitably come with illness. 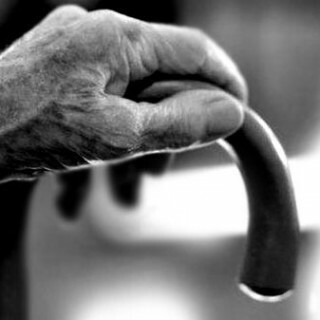 The standard of care in a home or community setting has a huge impact on both the elderly person and their family. The Serious Injury Helpline knows how negligence or abuse can cause untold upset and damage for everyone involved. The helpline specialise in care home neglect and mistreatment, and can help deal with both the technical and emotional side of a complex area of law. Anyone who needs confidential advice or help in the aftermath of medical negligence is advised to contact the Serious Injury Helpline on FREEPHONE 0800 230 0573. What is ABI or Acquired Brain Injury?